The text is Bembo, cast by Swamp Press. The papers are Neenah Classic Laid and Mohawk Via, both of which contain recycled fibers. 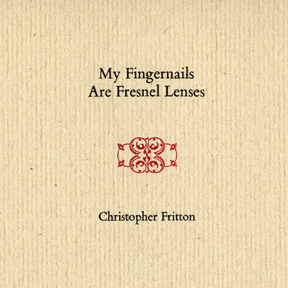 Hand-set, printed, and bound by Christopher Fritton and David McNamara. Printed at Paradise Press in Buffalo, New York.